Trailer for 'Hesher' directed by Spencer Susser and starring Natalie Portman, Joseph Gordon-Levitt, Devin Brochu and Rainn Wilson. 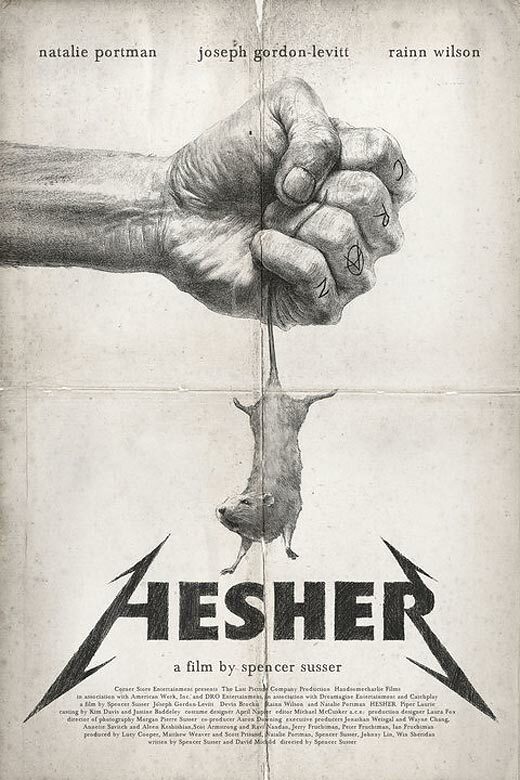 Hesher is the story of a twenty-something long-haired tattooed metal-head who one day unexpectedly enters the life of a grieving family. Hesher (Joseph Gordon-Levitt) is the most unlikely person to help 13-year-old TJ (Devin Brochu) cope with the death of his mother, but he proves to be the only one who can truly free TJ from his overwhelming sadness. The charismatic and dangerous Hesher drags TJ out of loss and confusion by sheer force of will and gives the young boy and his grieving father (Rainn Wilson) a chance to be a family again.